Are marshes on the move? focus. 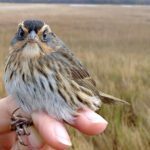 Will tidal marsh birds go extinct? How soon? 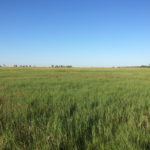 What is the fate of the drier marsh that birds depend on for nesting? When doing research to answer these questions one of the biggest uncertainties is how quickly sea level rise will push marshes onto land. 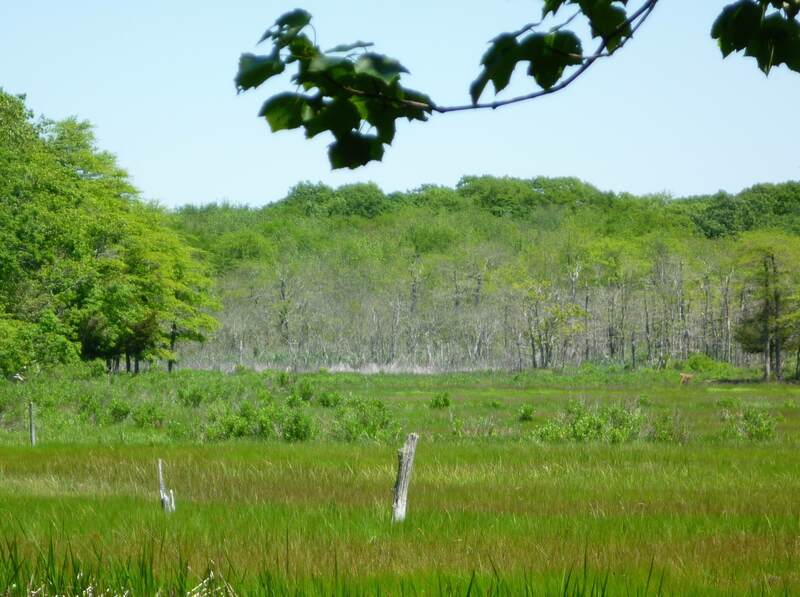 In many places across the SHARP study area, this means that tidal marsh plants will have to replace coastal forest. In some of these places, we can already see the results of this process – dead stands of gray trees known as “ghost forests” that have been invaded by marsh plants – yet we know very little about how this process happens or how long it takes. How common are ghost forests across the region? Are they caused by sea level rise? To begin answering these questions, we set up a pilot study across Long Island Sound, with funding from the Long Island Sound Study (http://longislandsoundstudy.net/). So far, we have found that despite recent changes to marsh communities, adjacent coastal forests seem quite resistant to many of the changes we would expect to see if they were experiencing stress from more frequent saltwater inundation. 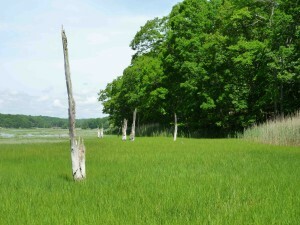 In fact, ghost forests seem to be a relatively rare phenomenon in the larger context of all of Long Island Sound. These preliminary results suggest that marsh movement onto land could be happening at a much slower rate than we previously thought, which would add another layer of complexity to conservation planning for tidal marsh birds. Our results are specific to Long Island Sound, and it is possible that forests are less resistant to saltwater stress further south, where in general the slope from marsh to forest is not as steep as it is in New England. To start answering this question, we have developed a standardized protocol that can be applied across the SHARP study area that will allow direct comparisons to the results from Long Island Sound (for more information on the protocol, see: http://elphick.lab.uconn.edu/wp-content/uploads/sites/73/2014/11/Elphick-Field-2014-marsh-transgression-monitoring-protocol.pdf). We still have a lot to learn about how tidal marshes replace forest, and whether this process will happen quickly enough to offer refuge for marsh birds. This entry was posted in SHARP Blog. Bookmark the permalink.